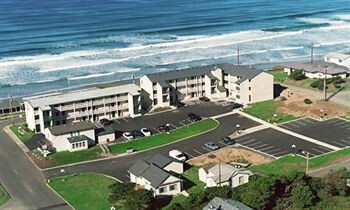 Property Location With a stay at The Waves of Newport in Newport, you&apos;ll be by the ocean and minutes from Nye Beach, and close to Don Davis Memorial Park. This beach motel is within close proximity of Burrows House Museum and Ripley&apos;s Believe It or Not.Rooms Make yourself at home in one of the 60 guestrooms featuring refrigerators and microwaves. Cable programming and DVD players are provided for your entertainment, while complimentary wireless Internet access keeps you connected. Private bathrooms with shower/tub combinations feature complimentary toiletries and hair dryers. Conveniences include desks and coffee/tea makers, as well as phones with free local calls.Rec, Spa, Premium Amenities Don’t miss out on the many recreational opportunities, including an indoor pool, a spa tub, and a sauna. Additional features include complimentary wireless Internet access and concierge services.Dining A complimentary continental breakfast is served daily.Business, Other Amenities Featured amenities include laundry facilities and an elevator (lift). Free self parking is available onsite.